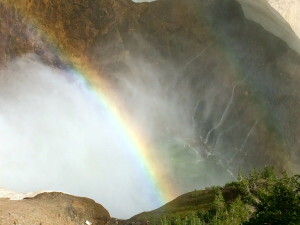 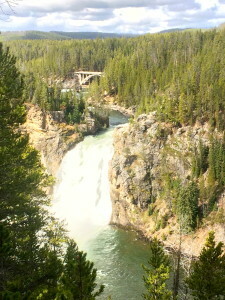 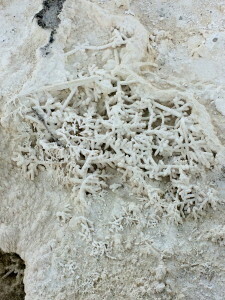 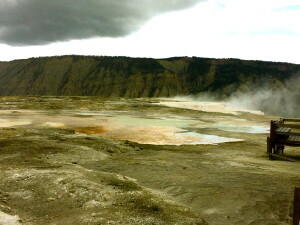 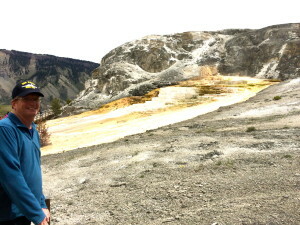 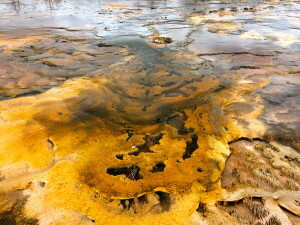 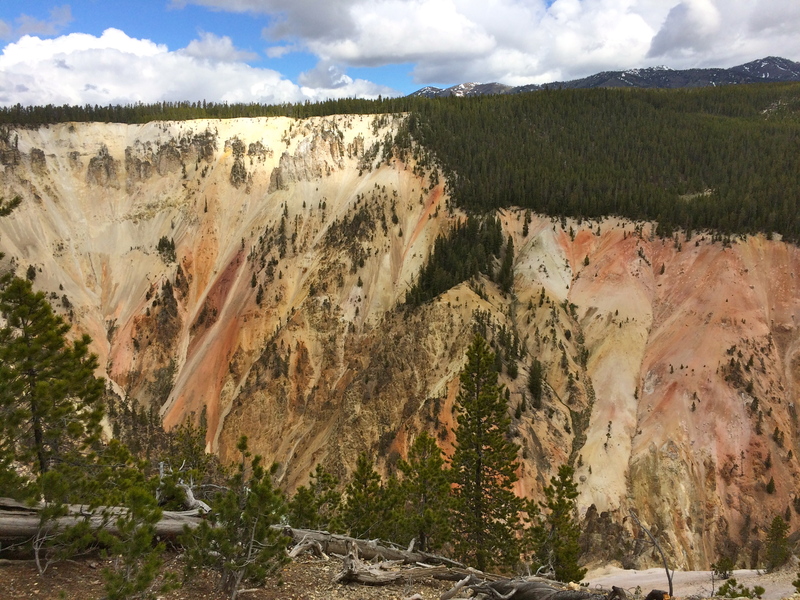 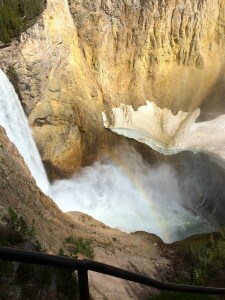 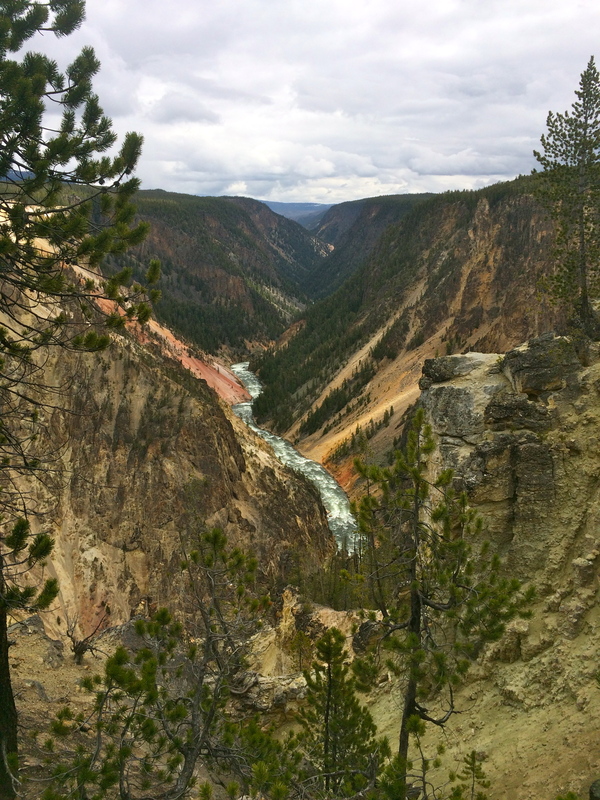 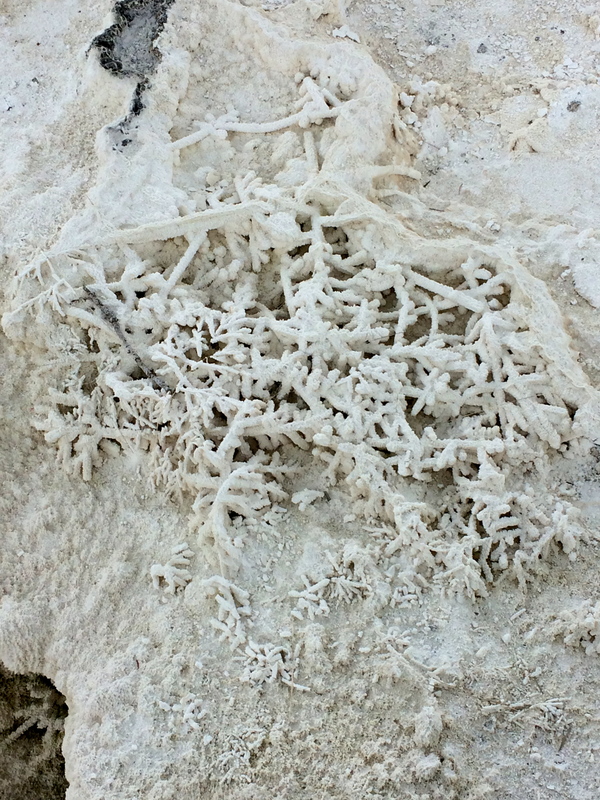 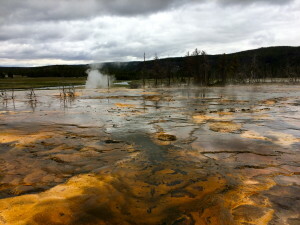 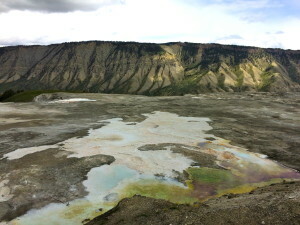 Everyone always says Yellowstone is beautiful – but we weren’t prepared for just how amazing it is! 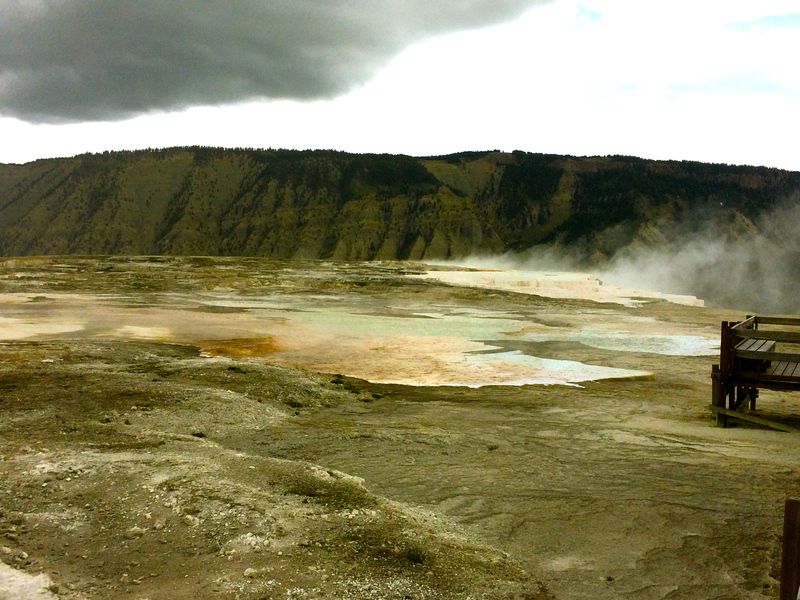 Driving around for 60-plus miles in a volcano caldera watching steam/geysers rising everywhere and boiling pools of water was incredible! 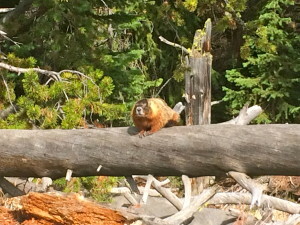 We stayed right in the park and, for the first time, had to take bear precautions. 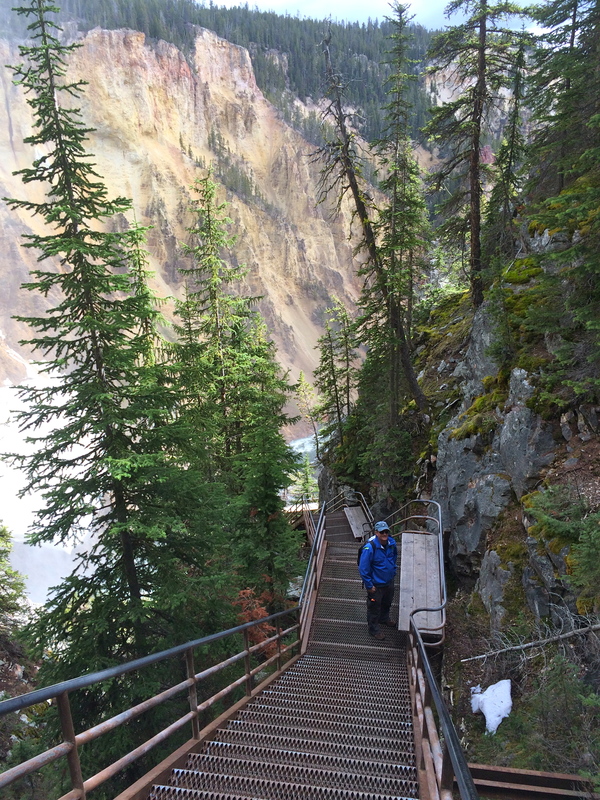 Grills had to be put away at night and you brought bear spray when hiking. 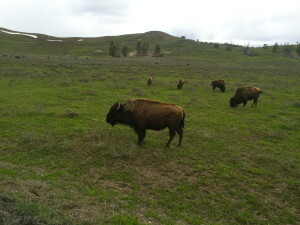 There were bison everywhere. 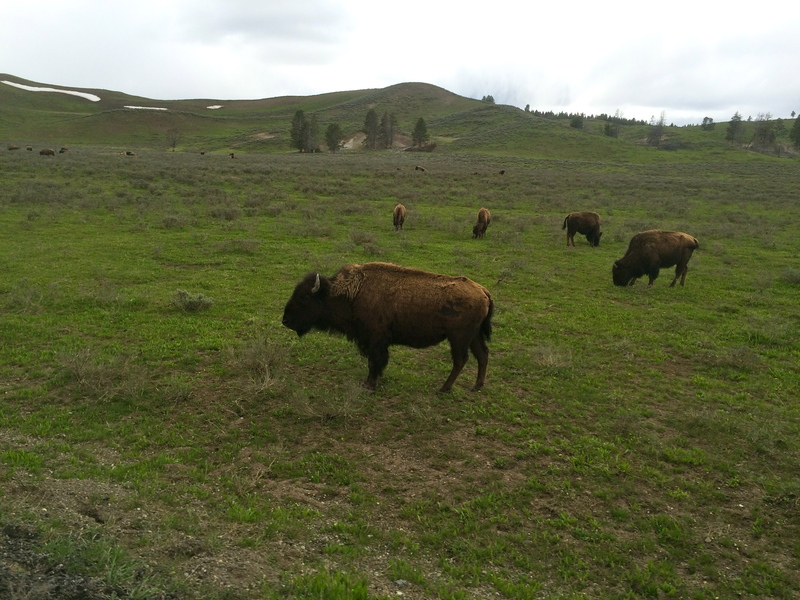 The first day, when you see them, you stop and take pictures even if they’re far away. 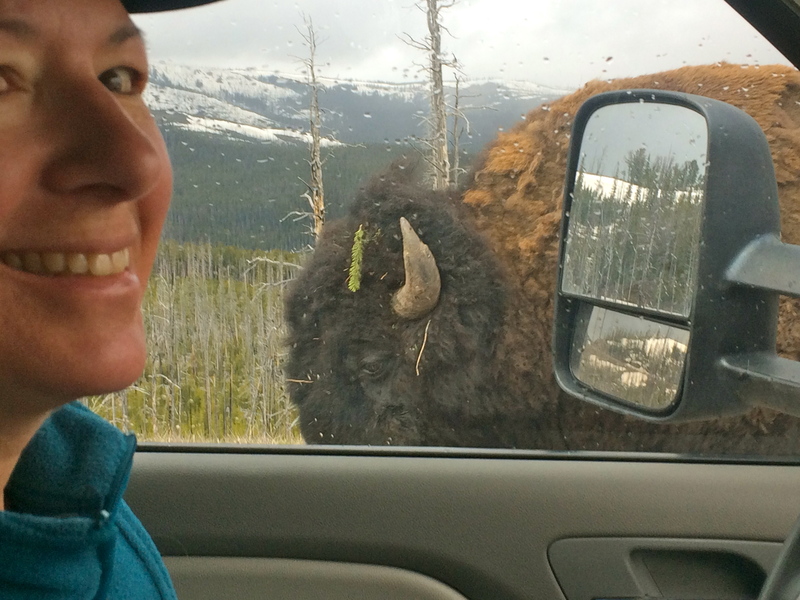 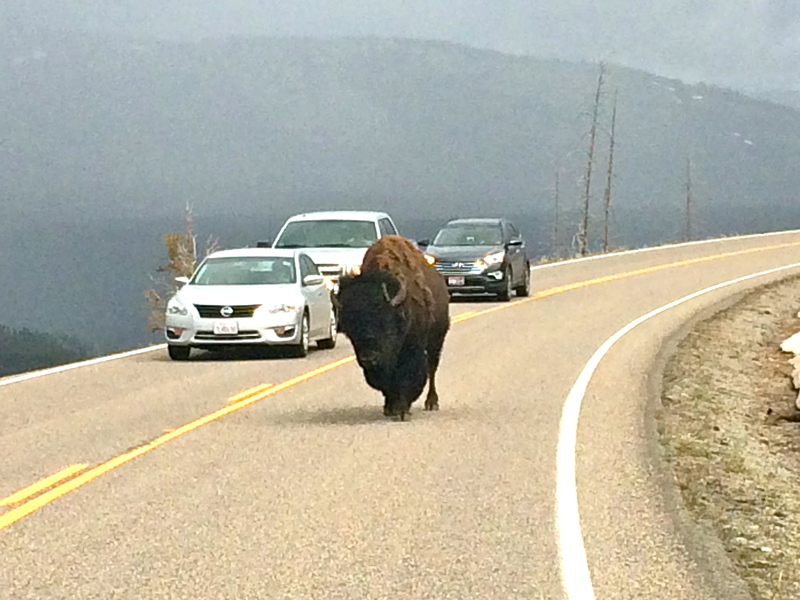 The 2nd day, you get stopped by bison slowly ambling down the road and get some close-ups. The third day, you try to keep your patience while all the bison-neckers block the roads taking far away bison pictures. 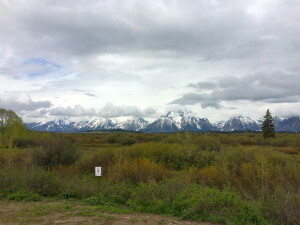 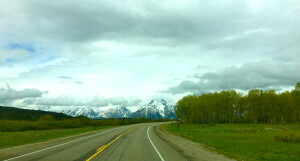 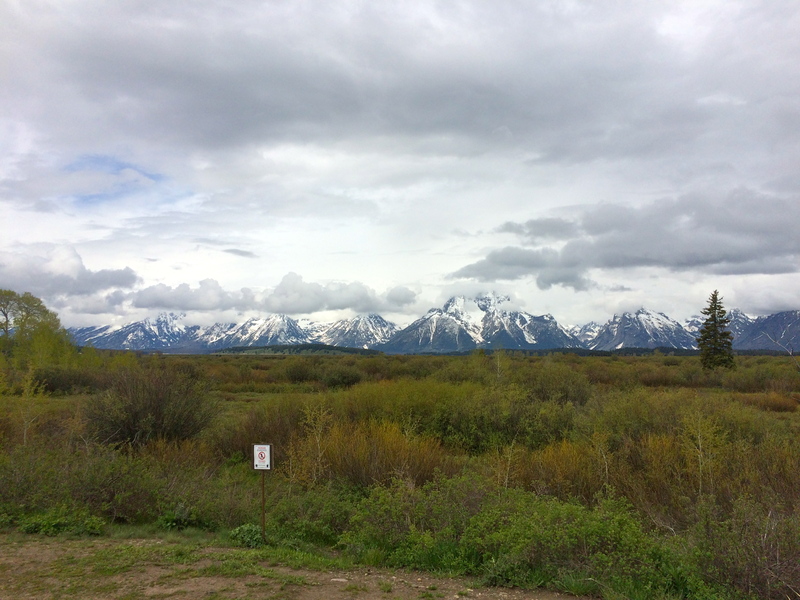 We drove up through Wyoming from Colorado diagonally across the state and through Grand Teton National Park. We encountered some of the heavier rain that we have had. 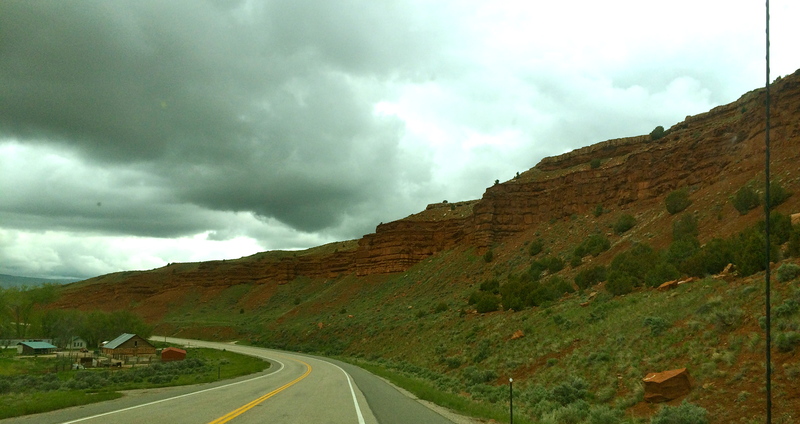 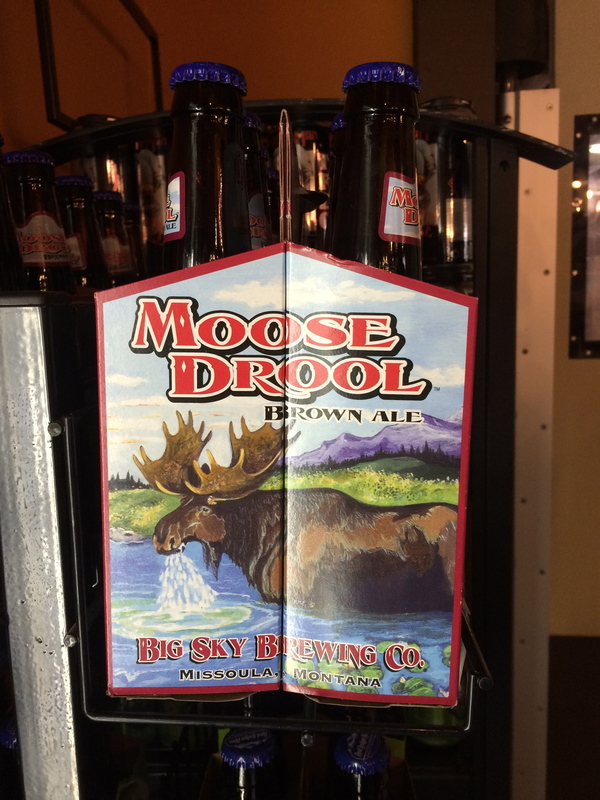 We stopped for one night in the little town of Dubois, WY. 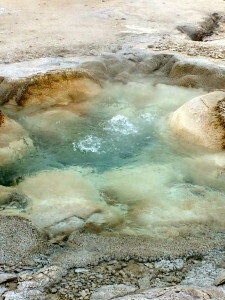 It was a nice KOA with a heated indoor pool. 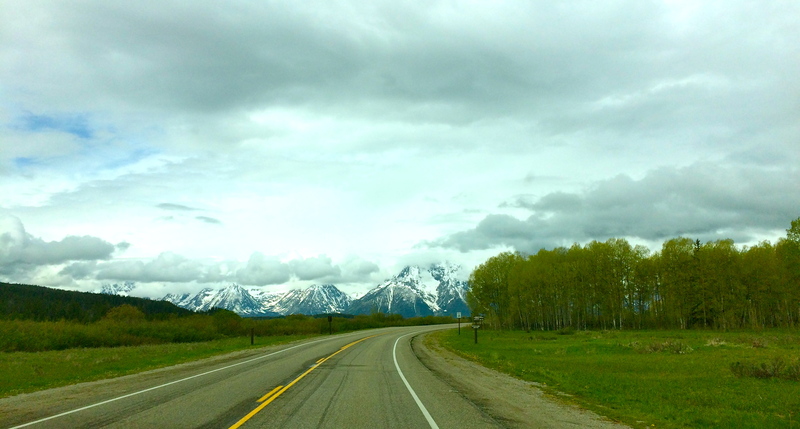 The town itself was about 2 blocks long, but it had a Jackalope museum! 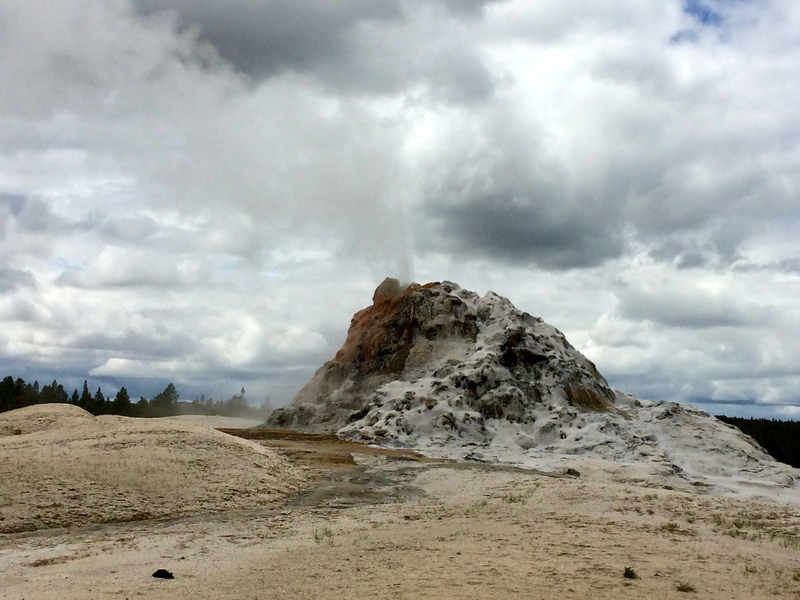 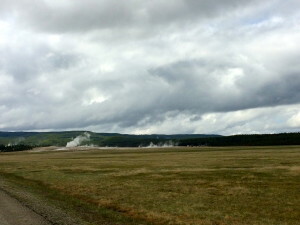 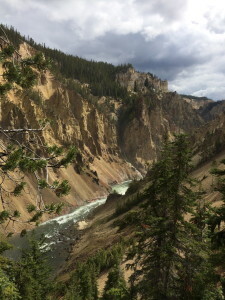 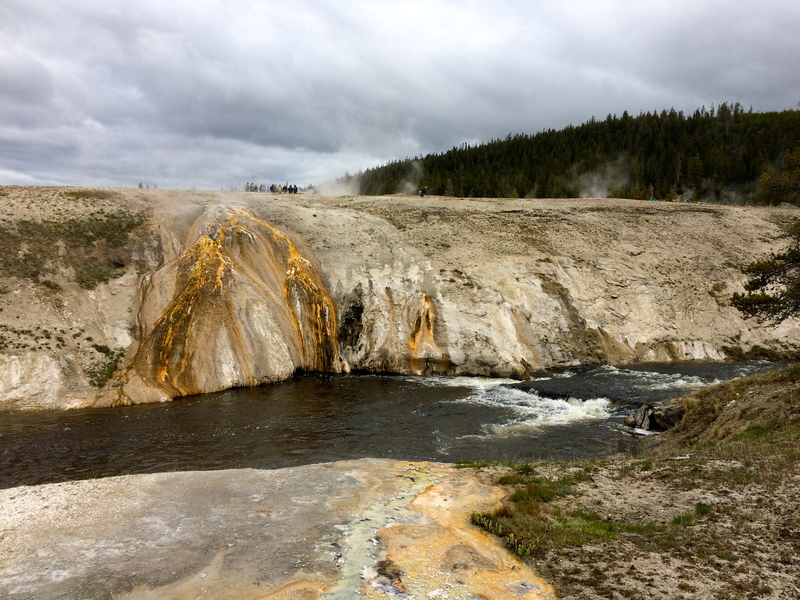 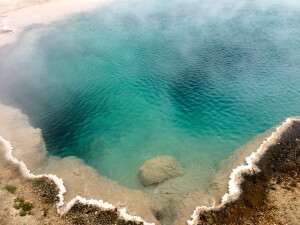 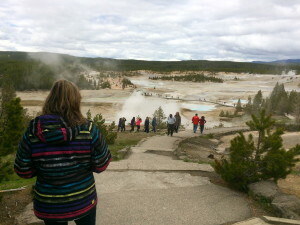 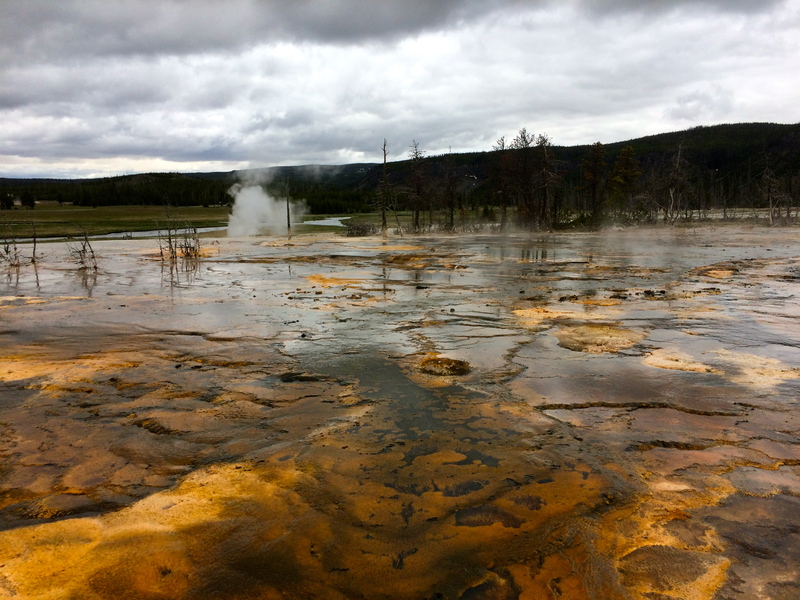 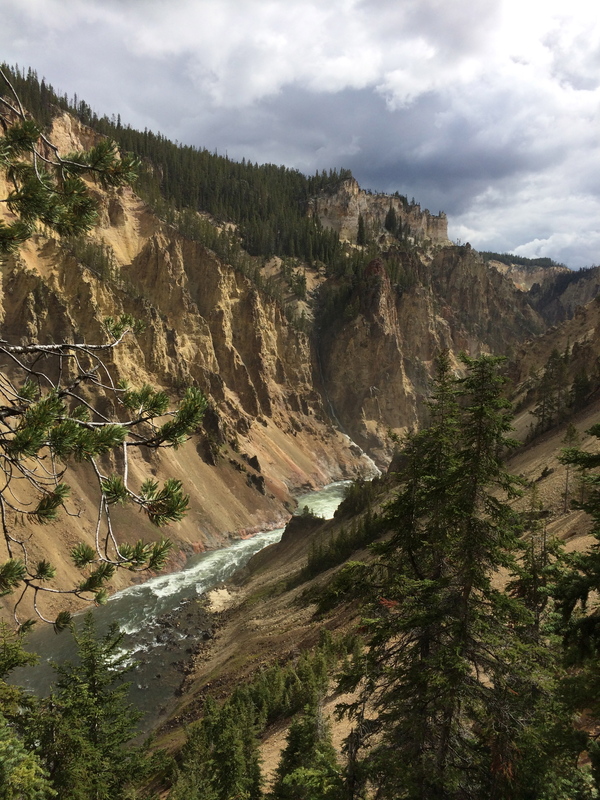 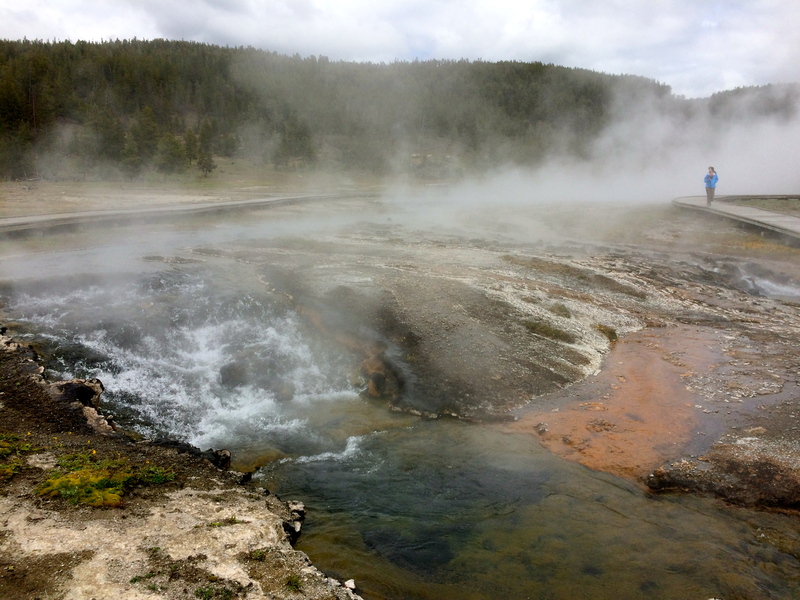 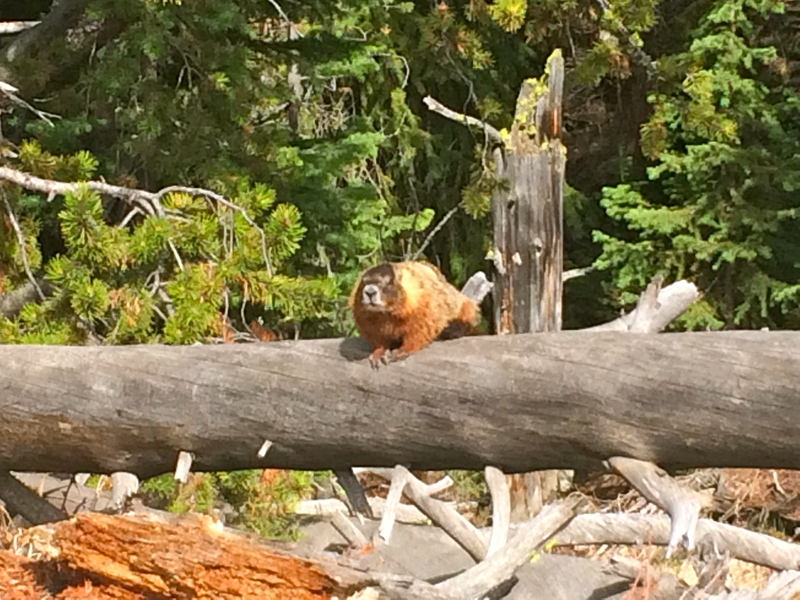 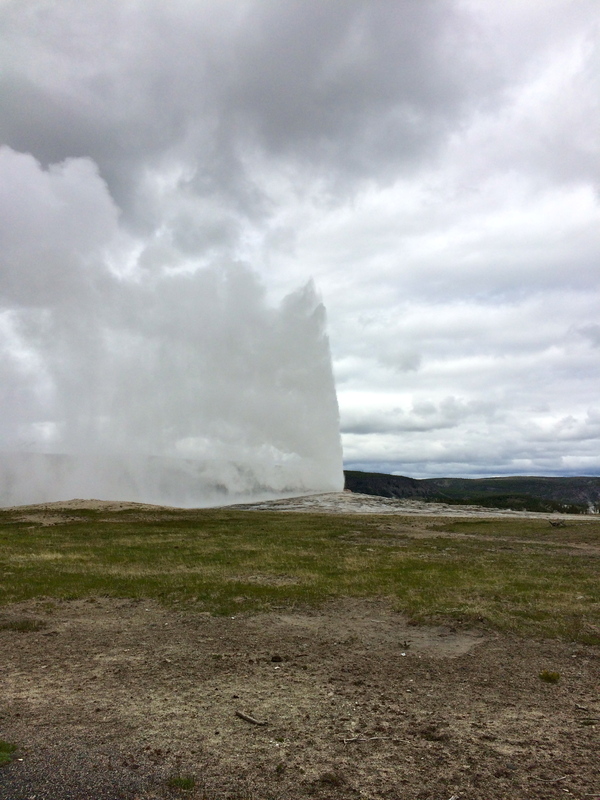 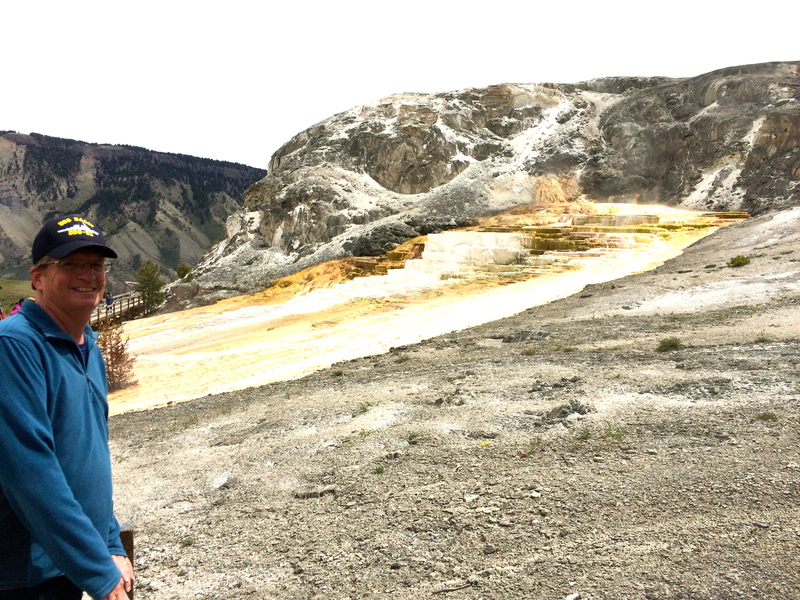 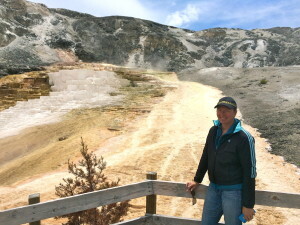 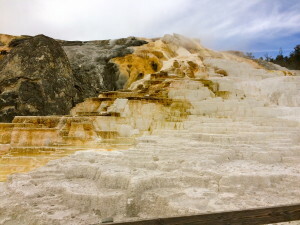 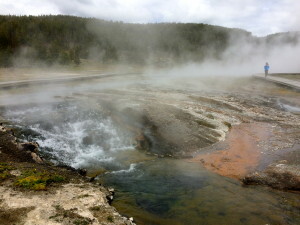 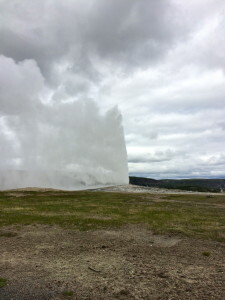 During our 4 days in Yellowstone, we drove to several of the geyser locations, hiked 6 miles along the south rim of Yellowstone Canyon, and visited Mammoth Hot Springs. 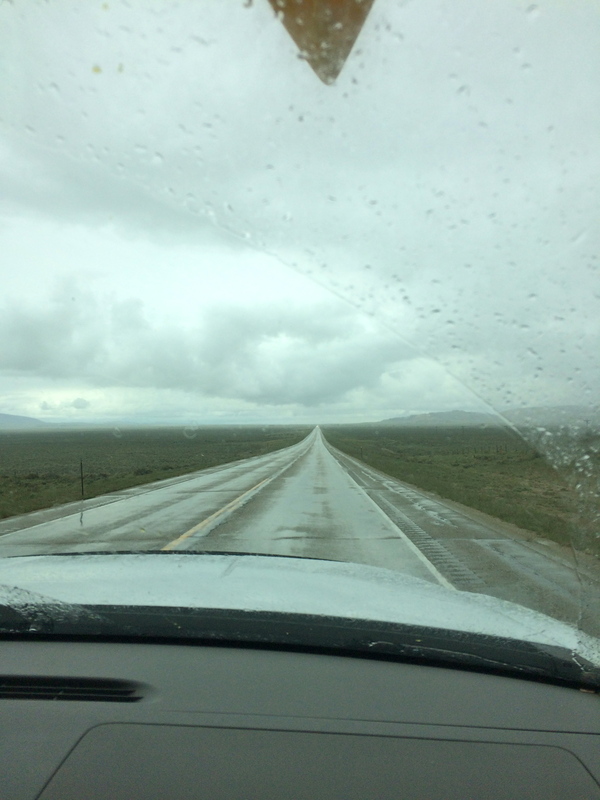 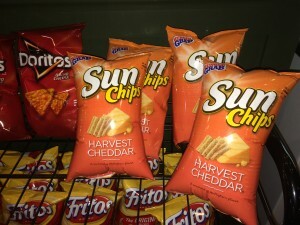 The weather was, um, variable! 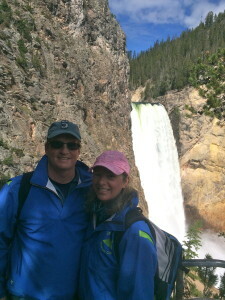 Winter jackets required one day, rain most days, hail now and then, and even some sunshine! It was all so incredible, I’ll let the photos speak for themselves. 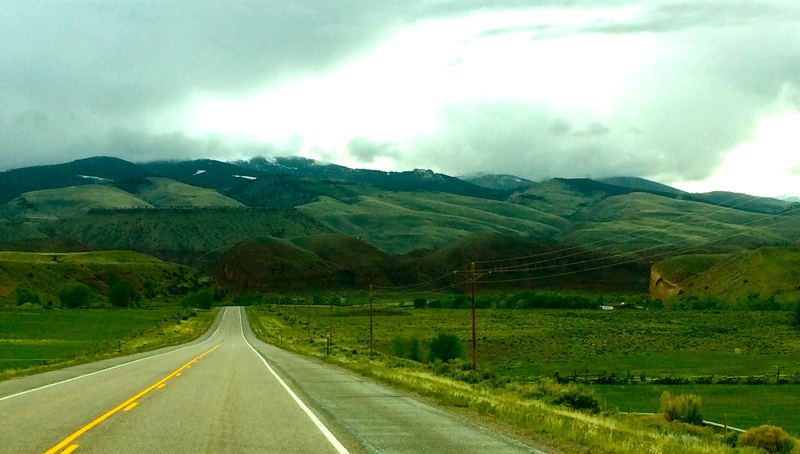 So now we’re off to Bozeman, Montana. 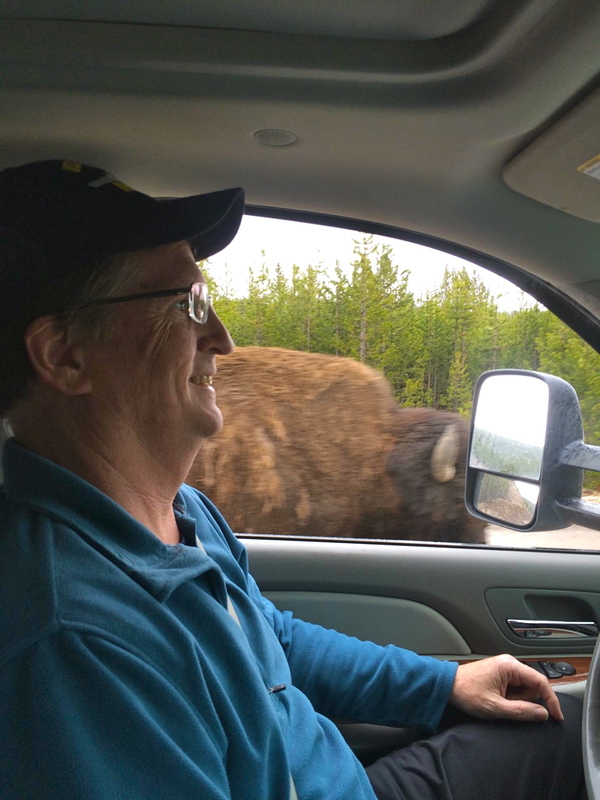 We’ll be spending a6 weeks or so in Montana around when Sue goes to Chicago and are looking forward to seeing Glacier National Park.